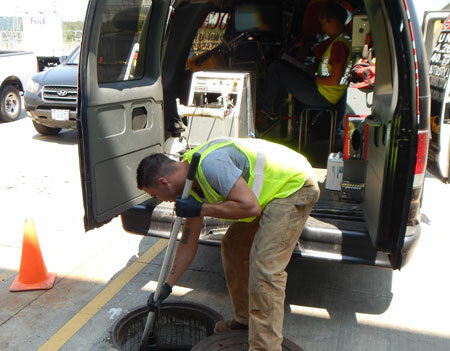 When it comes to the big sewer and storm pipes, we can help there as well with our full video tractor camera van featuring enviro sight rover camera equipment that produces crisp and clear color video along with voice over and page type. We record to dual DVDs for a customer copy and 6 month on-file company backup. 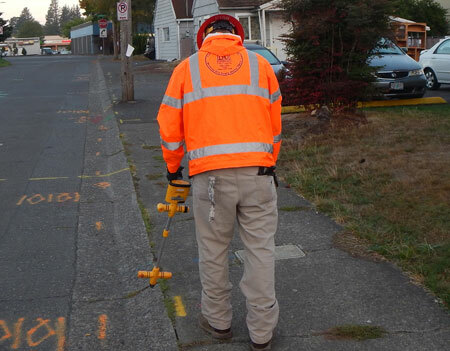 We can inspect pipe joints, brakes, rat holes, and blockages etc. We use a variety of traction devices and lighting. We have been able to go down or up and video most pipes 6 to 60 inches and out up to 600 feet. 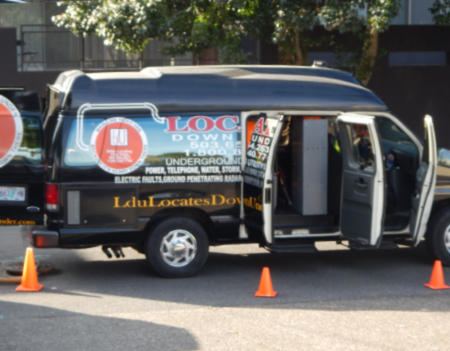 Our video van is a custom one ton high top Ford that is narrower than the box vans and can get into tight spaces. The van can run standalone for 5 or 6 hours with its on board batteries or built in generator, or just plug in to an ac outlet! If needed we can remove the video unit and cart it in to access tight spaces. The customer can now view the inside of the pipe in real time from the back of the van's 20" monitor or along side of our technician. Our camera can be located with low frequency locating deeper lines and pin-pointing. 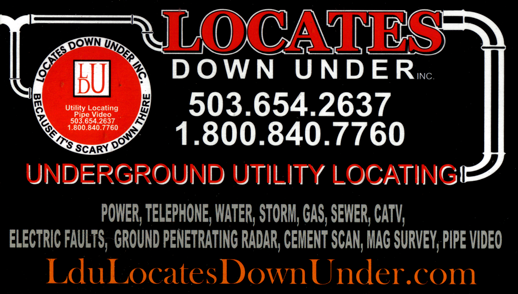 We can attach a sonde for locates from 15 to 50 feet and if we find a problem we can locate the area for other utilities before you dig and repair. 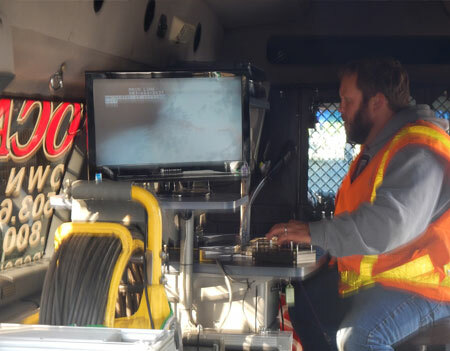 Our camera van is fully equipped with with tractor crawler, push camera and low frequency locating equipment. We feature intrinsically safe full color cameras for the petroleum industry as well as standard full color camera, featuring full video recording on thumb drive or dvd with voice over. These small cameras are especially good for home sewers and parking lot storm systems. They produce a clear crisp picture of the inside workings of the pipe. We are also able to find dry wells and the well depth. All of our cameras have footage counters. 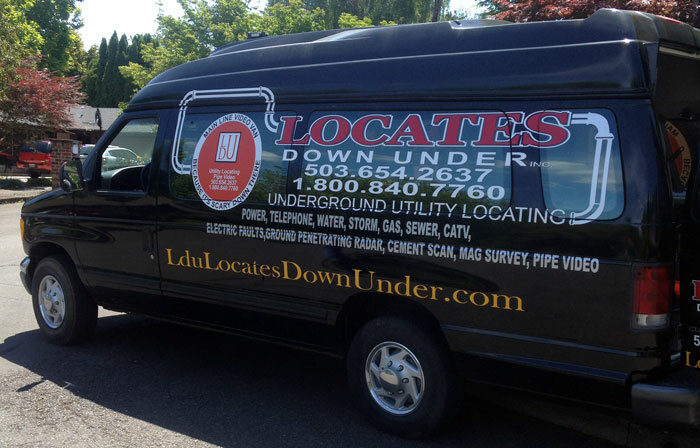 A bad storm or sewer line can cause sink holes, back ups and more. We can also use the cameras to see behind walls, duct work, and anywhere we can put it down or through.